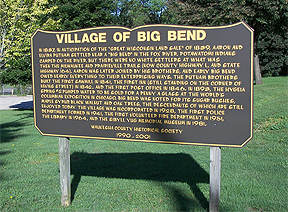 Big Bend is a great little village in Wisconsin with a small population. It’s surrounded by the beauty of nature and parks, one of which includes a body of water and camping facilities for some outdoor fun. Big Bend also has three industrial parks that provide the area with plenty of job opportunities. With plenty of homes that include large yards, Big Bend is a great place to raise a family, big or small! Click on the link below to see Big Bend’s available real estate. Find a home to fall in love with, and then call our knowledgeable and professional NextHome Lake Country Big Bend listing agent today!